An eye-catching mural along I-90 by Lake Erie is getting a much-needed facelift. CLEVELAND — An eye-catching mural along I-90 by Lake Erie is getting a much-needed facelift. 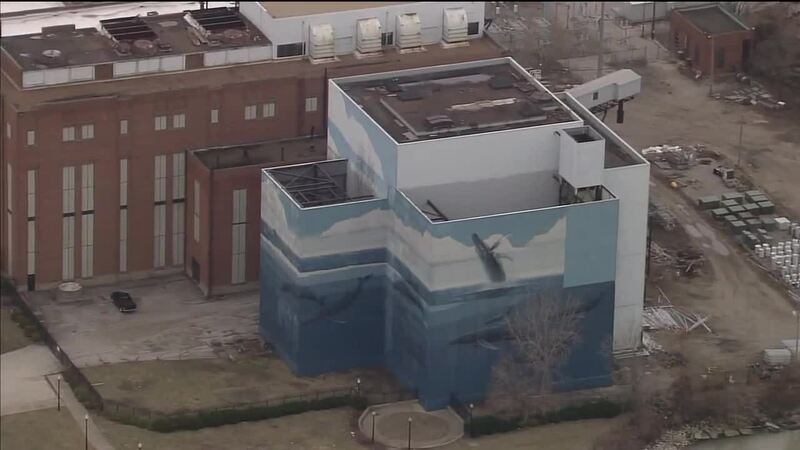 Artist Robert Wyland painted “The Song of the Whales” mural on the side of the Cleveland Public Power Plant in 1997. After more than two decades of rain, snow and highway dirt, the mural needs a re-finish. But Wyland has a bigger goal than just touching up paint. He’s promoting water conservation and the need for healthy waterways in Northeast Ohio. It’s expected to cost upwards of $30,000 to fix the mural. Wyland’s foundation is accepting donations for the project. Click here to learn more about the Wyland National Mayor’s Challenge for Water Conservation .